The Legend of Zelda is such an important series in games. It's one of a few to reinvent how games are played, and it did that more than once. Both the original Legend of Zelda and Ocarina of Time redefined how games could be experienced. Others like Link to the Past, Wind Waker and Link Between Worlds expand those foundations. The series however, mainly the 3D ones, seems to have fallen into a cycle to just emulate Ocarina of Time with varying results. Twilight Princess was fun and upped the production values though was just Ocarina in a prettier skin. 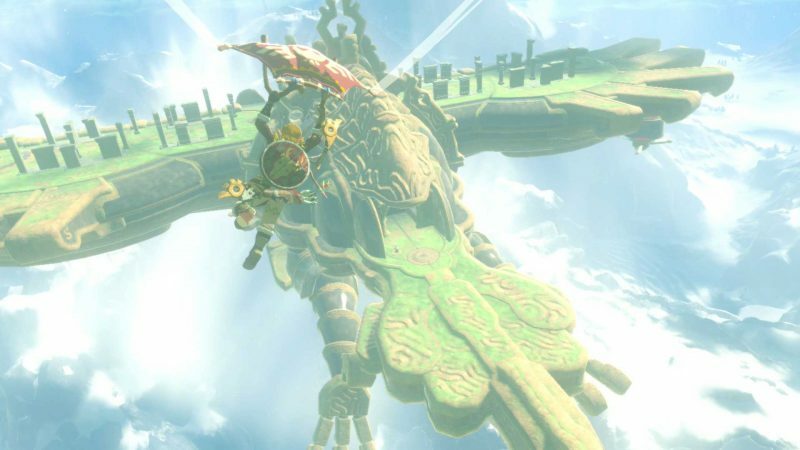 Skyward Sword’s wonky WiiMotion Plus is either loved or brutally hated. 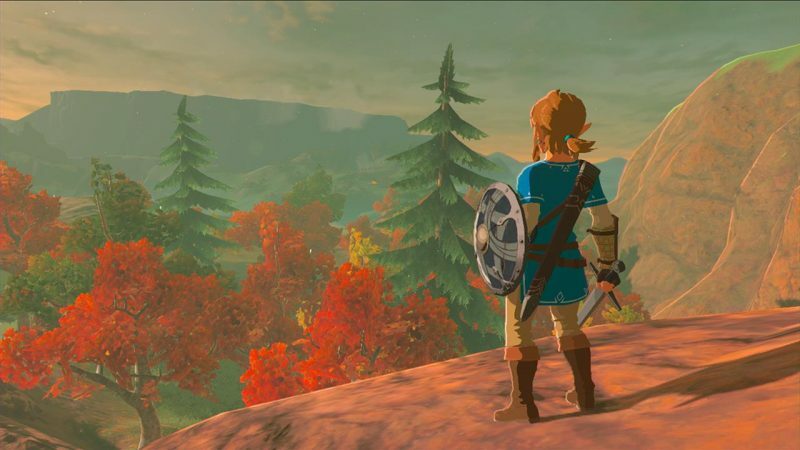 Now over five years after Skyward Sword, we finally get a new Zelda for consoles, and even after 30 years since the original, The Legend of Zelda: Breath of the Wild did what I thought was impossible: it once again reinvents, this time for open-world gaming. That’s because Breath of the Wild has such a lush open world full of things to find, natural laws to abide by, the ability to explore in a unique fashion; all while scrapping the entire Zelda formula, rebuilding its gameplay from scratch and assuming you can figure out things. One big change was that the combat was rebuilt to be more modern, now dealing with dozens of different weapons and their different feel. All these new axes, hammers, swords, clubs, bows, shields and more that you find or steal from enemies are now breakable. They make you think how you want to take on something knowing you have so many hits, and if the fight would be worth it. Also good is that weapons, shields, bows and arrows are now equipable via the D-pad instead of menu bouncing, as are the abilities. Those aforementioned abilities, dubbed runes, make the gameplay so much more complex. You get a time-stop function that stops time on things, allowing moving things to stop and still things to gain force by repeated strikes. You also get the power to make ice pillars in any water, horizontal and vertical, so that you can your own bridges or cliffsides on waterfalls or even lift things that are on water, like chests. The best rune though is the magnetism ability, which allows any metal object to be moved around, creating makeshift weapons with metal boxes, bridges to be made with boxes and doors and allowing electricity to flow between points. Back from Skyward Sword is the stamina gauge, but it holds a much more important purpose: limitation. This expandable gauge limits Link’s running and climbing abilities as well as horse taming and charge attacks, so while he can go anywhere, it’s as far as he still has stamina. This, like the weapon durability, this makes the player deal with resources outside of regular items, making plans and strategy your best asset. I may have not have seen how important limitation is if it wasn’t for another recently released open-world game, Horizon: Zero Dawn, not having it and making everything feel easy and simple. The game’s limitations are at it's best in the very beginning of the game, in the Great Plateau. You’re stuck up on this high surface with nothing on you until you beat the shrines in the area. You get some basic clothes and left off to experiment. The enemies you fight are vicious and good at ganging up, the weapons are weak always breaking, and the only things to eat and cook are mushrooms and small animals. It gives Link that “eat or be eaten” mentality and you fight for every bone you're given. Death is a very common thing in the beginning and only stops once you learn how to offset it by expanding with enough armor, fairies, cooked food, and heart containers. But forget Link, Hyrule is the star of Breath of the Wild. Back in the days of GTA III, we called open-world games “sandboxes” because of the freedom players had compared to the linear standard. Breath of the Wild is one of the few in the genre that really deserves the moniker. The land is equipped with things Link can interact and experiment with. You’ll wander around and be surprised on what is doable from cutting down trees to get apples to using the wood and striking a flint on it to create a fire to dropping the apple to create a baked apple that replenishes more hearts. You can grab a sword and throw it to kill one enemy and allow his buddy to use it… in a thunderstorm. It gets better and more dynamic when you factor the VERY three-dimensional terrain and the game’s impressive physics engine, the hot and cold climates of areas, the rune abilities, and the best transportation in all of this: the Paraglider. It’s crazy that any of these complex situations work if you're cunning enough to take advantage. Even right up to the finish, I was learning stupid little things. The lack of tutorials makes all of these elements much more fruitful as it allows the purest form of experimentation. Hyrule is also GIGANTIC in scale, with cubic miles of fun. The cubic factor differentiates what is an open world and Nintendo’s term “open-air.” The various mountain ranges, valleys, fields, deserts and more are all crafted with gameplay in mind. These aren’t all empty “whatever” areas either, as they are dense with thousands of different things ranging from collectibles, shrines full of puzzles, trials Link must overcome, hundreds upon hundreds of smaller trials created by Koroks, stables, cities, enemies big and small alike, secrets and more. Every wall aside from the shrines and dungeons are scalable, allowing cliff sides to be a gameplay factor for the first time. Rafts are used thanks to flapping a leaf in the sail. Horses are wild and ripe for taming. The paraglider allows you to do everything you need to do in the air. There isn’t a dull moment or filler, and that’s crazy for a game this big. Hyrule makes Skyrim look barren in comparison. Oh yeah, Hyrule is beautiful as well. 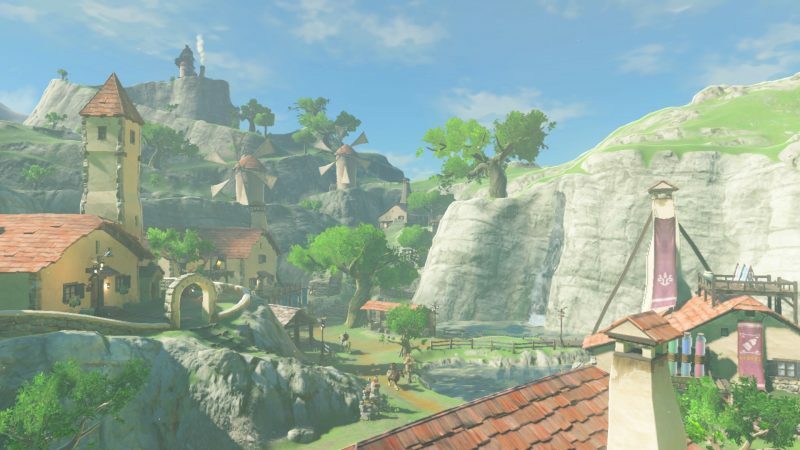 The cel-shading design that Zelda made famous with Wind Waker is now perfected thanks to the devs using the tech in a more mature fashion, making the game look like a Studio Ghibli anime. The grass is just the coolest part of the beauty, with millions of blades flowing in the winds and interacting with what’s going around it, whether its wind or fire or the slashing of your weapon, though it’s the prime culprit of framerate drops. 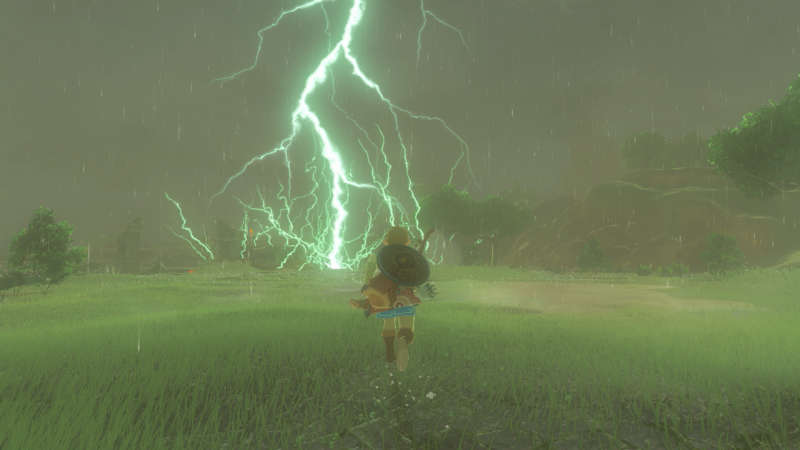 Breath of the Wild also has a lot of particle effects, gorgeous lighting (especially the blue coloring the game’s themed off of), and crazy weather that affects Link and the environment alike. The surprising part of all of these excellent points of Hyrule is that the game is extremely polished. 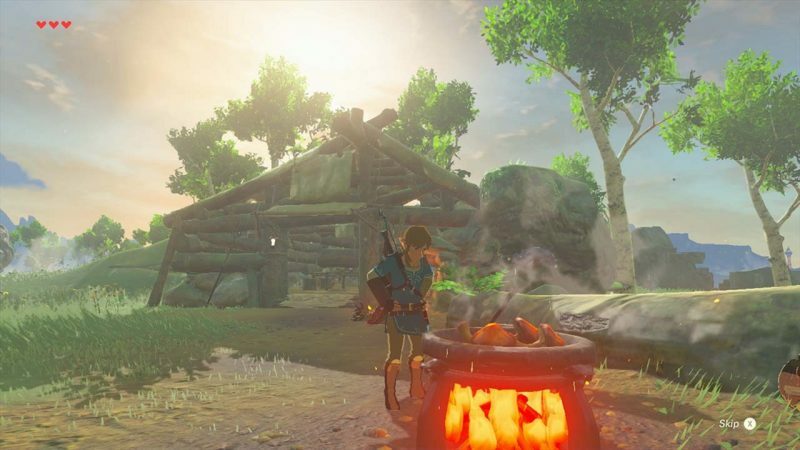 There’s no open-world game I’ve played that just “works” as well as Breath of the Wild. All those walls and cliffs can be scaled without issue, the items didn’t freak out or anything weird after dropping, and I haven’t experienced a single crash. It’s so much more important because the game has natural “laws” to abide by, and they work 100% of the time. Wood burns, metal conducts electricity, certain things float in water and some don’t, physics worked realistically, temperature is constantly in place, and it’s crazy that they can be used to solve something or beat someone in ways unimaginable in games before. Even the soundtrack knows Hyrule is the star of the show. There is no grandiose orchestrated track playing when exploring the fields, streams, mountains and cliffsides. In fact, most of it is just ambient sounds of Hyrule with some little subtle melodies. The cutscenes however have the big orchestrated feel as one might expect from Zelda. The area towns and dungeons also have most of the regions’ stereotypical themes. 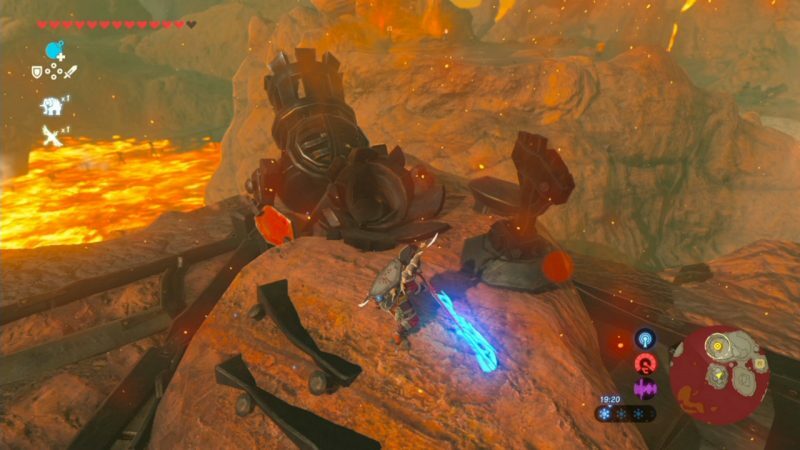 Now one point that someone might make is that we’ve seen just about everything we’ve seen in Breath of the Wild in other games. From crafting to open-world play to breakable weapons to subtle music, that’s true. However we’ve never seen them all mashed together in such a big scale in one game, at least as nicely and fluid as this. 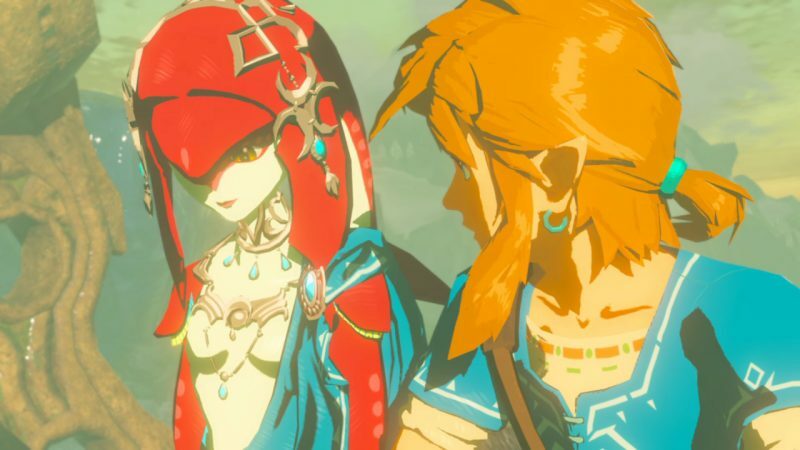 If there’s something that Breath of the Wild takes from its franchise, it’s the fairly basic story. 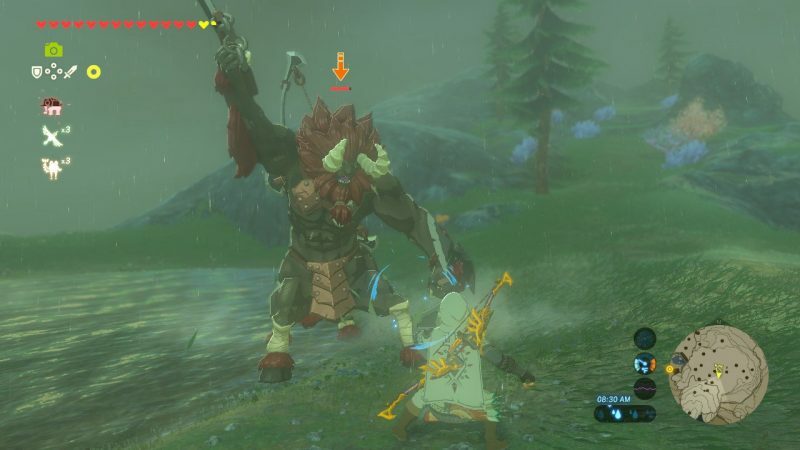 The game takes place 100 years after Calamity Ganon took over the machinery Hyrule made to defend themselves. 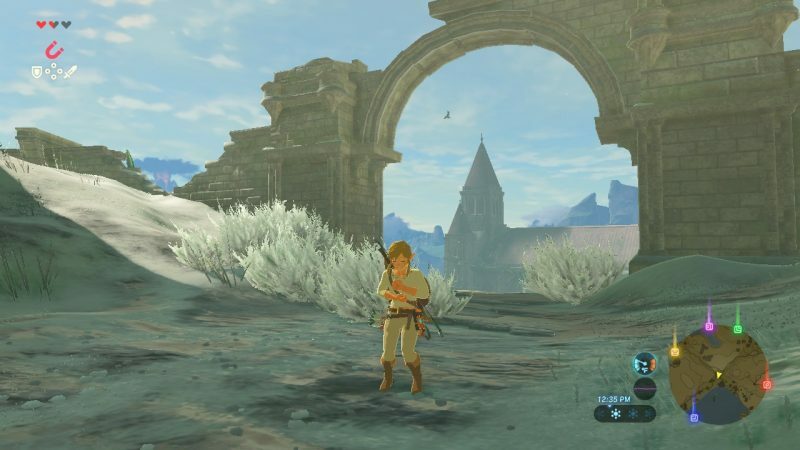 Asleep for 100 years in a stasis-like slumber, Link wakes up to the dystopian, post-apocalyptic ruins of Hyrule. From here, the player has to find the rest of the story past the Great Plateau opening. It's non-linear questing design makes them hunt to meet everyone and see everything. 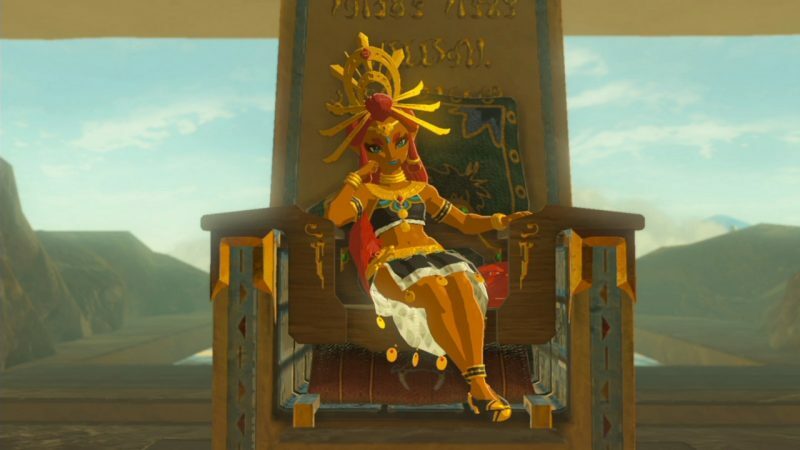 Zelda (finally) has traditional voice acting. While Link still doesn’t talk (though he seems to hold a legit conversation in smaller chats) the voices are used for a strong and lovable support cast from both past and present Hyrule. 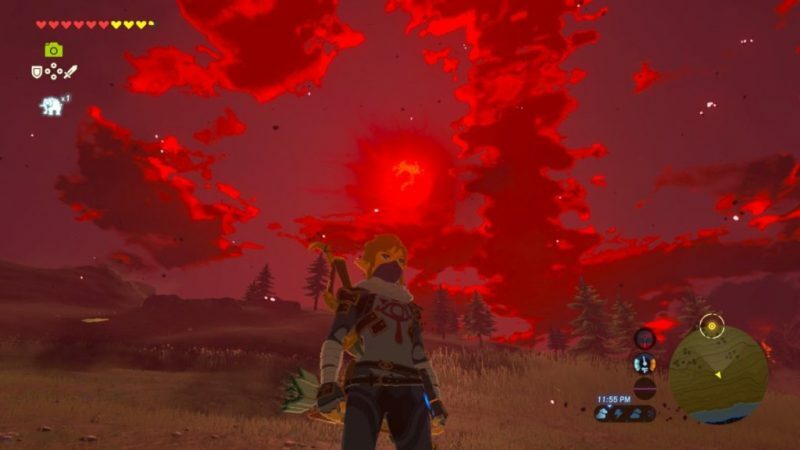 Though all these advances on Zelda can be all for naught, as the entire story isn’t needed to beat the game and you can go right to Ganon after clearing the plateau. Just expect to die. Though the story as a whole isn’t award winning, the real story is the one you make. My favorite part of the game is telling others about my journey and hearing others’ experiences. Again, the non-linear design and the lack of help wins because makes it so one player can tell his or her story to another one and get something different. Giving and getting tips about the game made my experience better because I’m learning in a more realistic way instead of reading tutorials. Especially on Switch where you can show friends your map and items or show your unique cooking skills makes old-fashioned game tips possible. 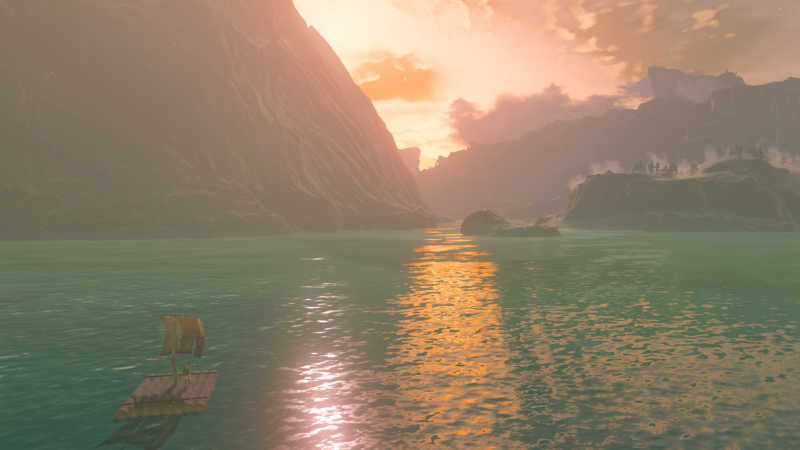 Quite frankly, The Legend of Zelda: Breath of the Wild is one of the best games I’ve ever played. Period. This game’s so special because it recreated a sense of wonder and experimentation I haven’t felt since the Nintendo 64 when 3D games were new. 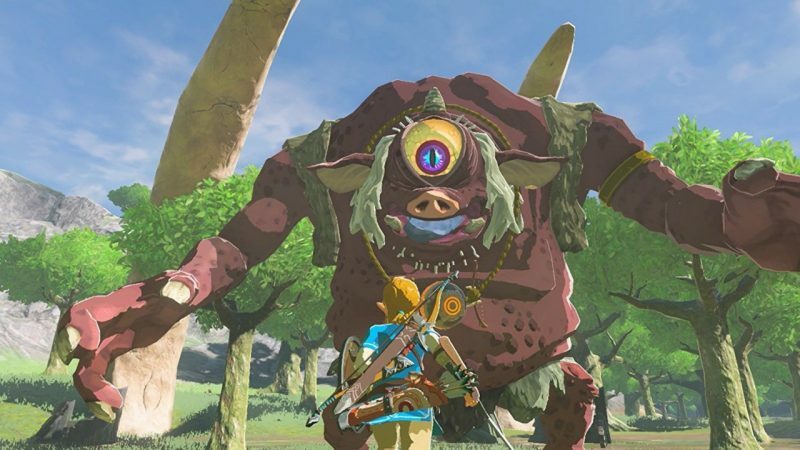 This is a reboot done so, so right thanks to fearlessly throwing out the entire Zelda formula and rebuild to create new ways to think adventure games. This is a notice to the standard high-tier open world developers like Bethesda and Rockstar: the bar with open-world games has been raised right when they’re feeling oversaturated. That being said, there is no reason to not award this game, both Switch and Wii U versions, with the best score we can possibly give it. Voice acting in Zelda! Finally!